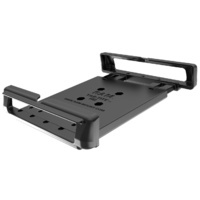 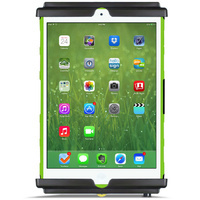 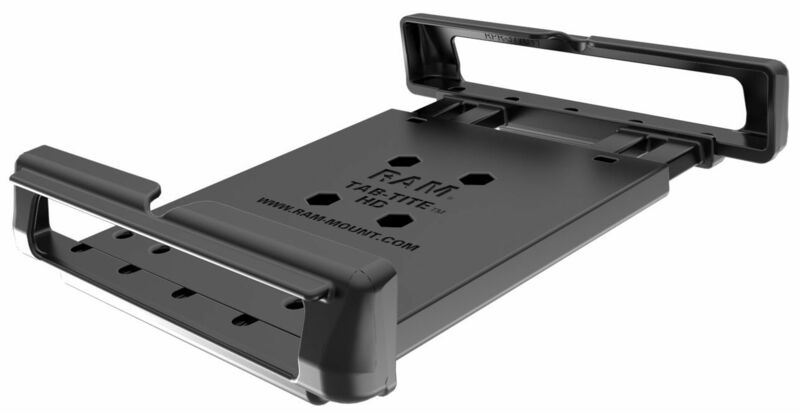 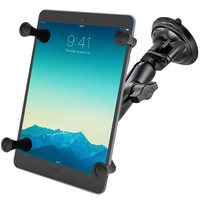 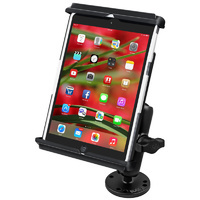 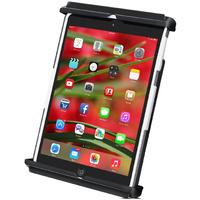 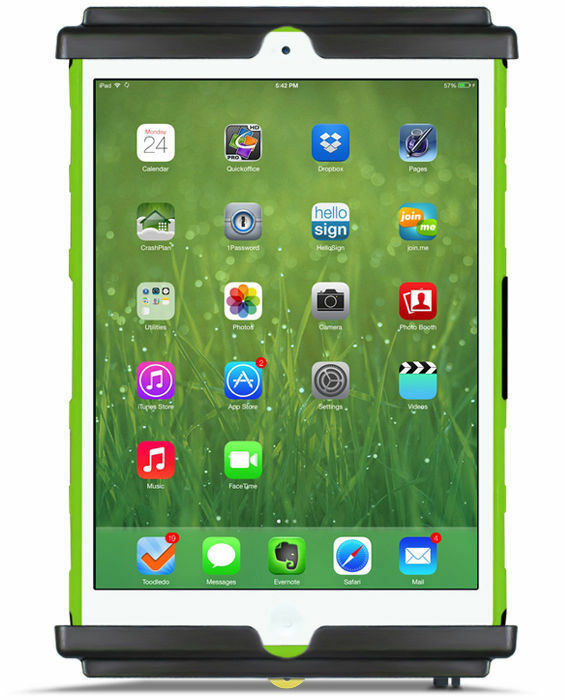 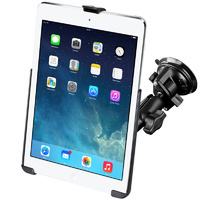 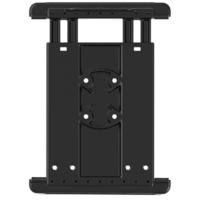 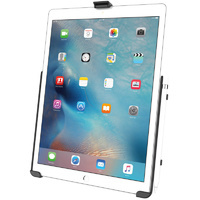 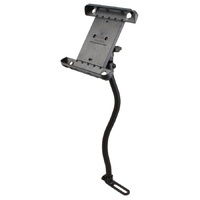 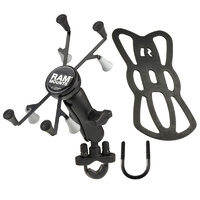 RAM mount kit for an iPad Mini 1, 2 or 3 with a case, skin or sleeve onto a flat surface. 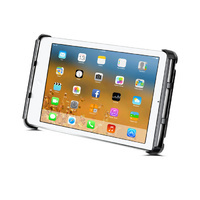 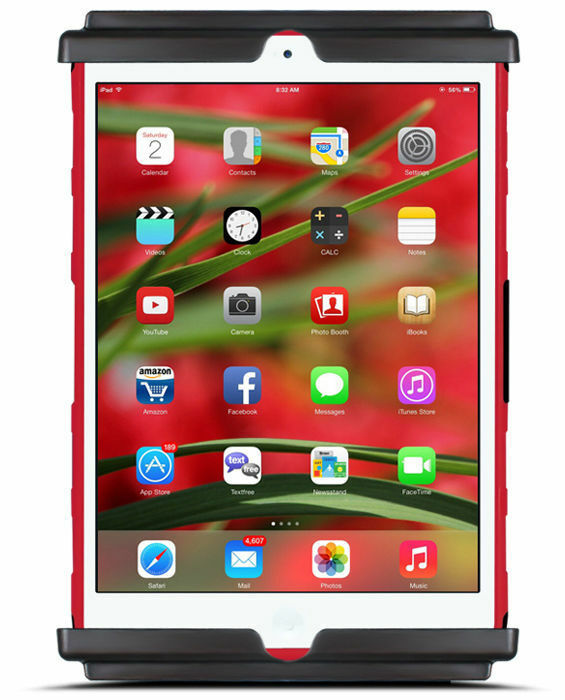 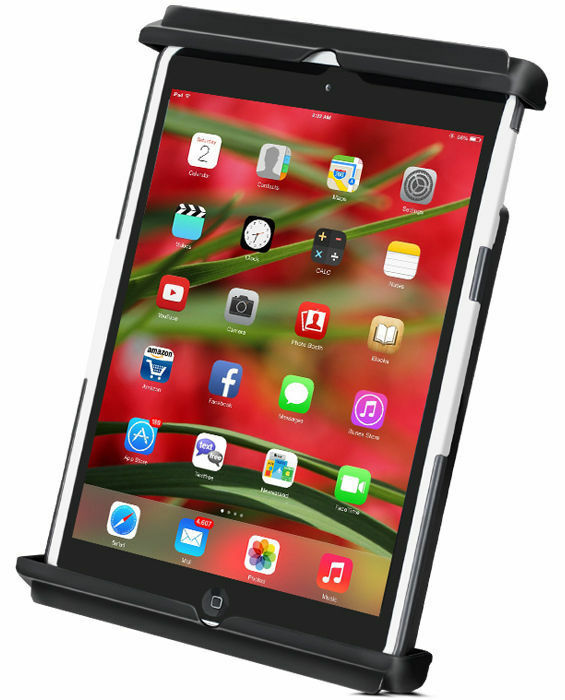 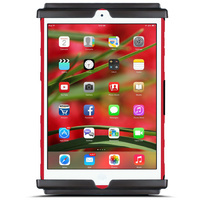 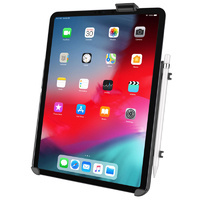 The Tab-Tite cradle consists of a spring loaded back plate and custom support cups for the iPad mini WITH skin, sleeve or case. 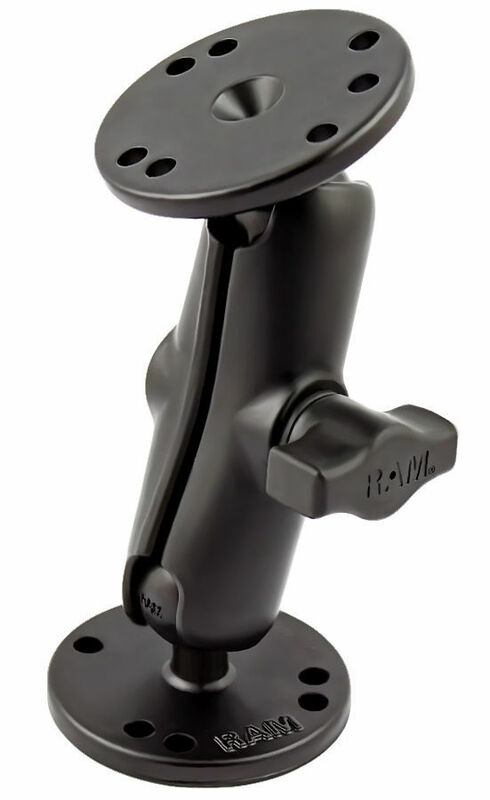 Interchangeable cup ends are designed to optimize the functionality of your tablet, allowing access to audio jacks, usb, power, and other ports. 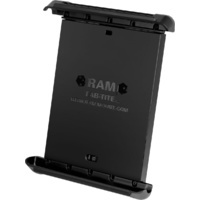 NOT Suitable for any other size tablet. 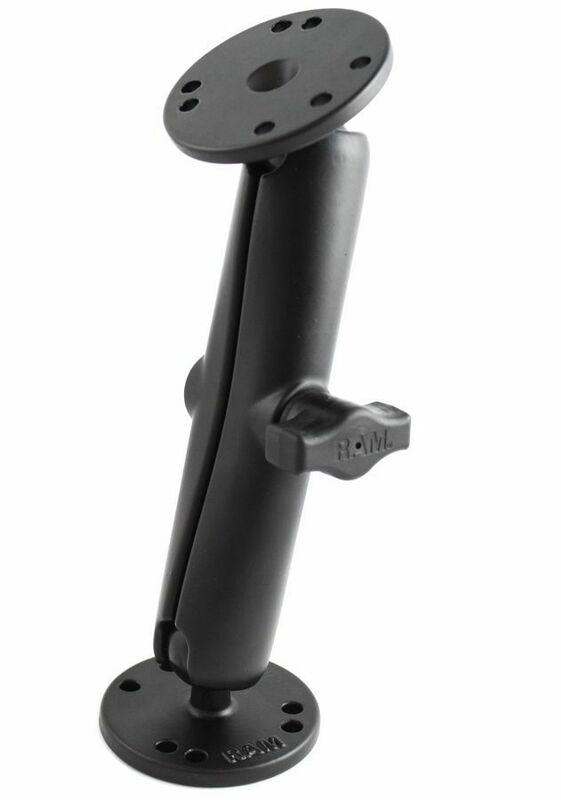 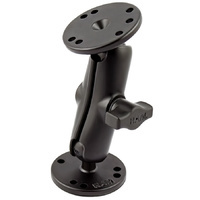 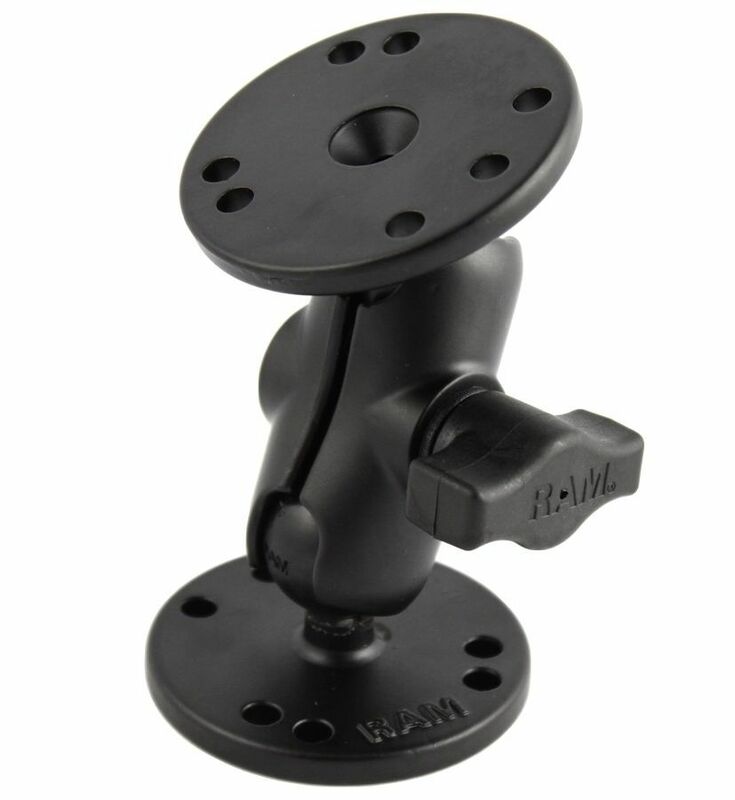 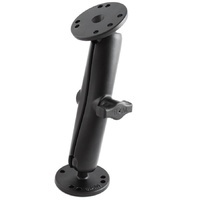 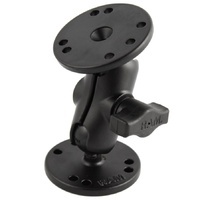 The mount is designed with a 1" diameter patented rubber ball and socket system that has adjustment points at both ends of the double socket arm; this allows for almost infinite adjustment and perfect viewing angles. 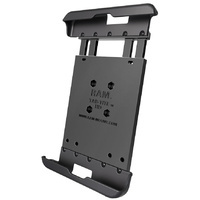 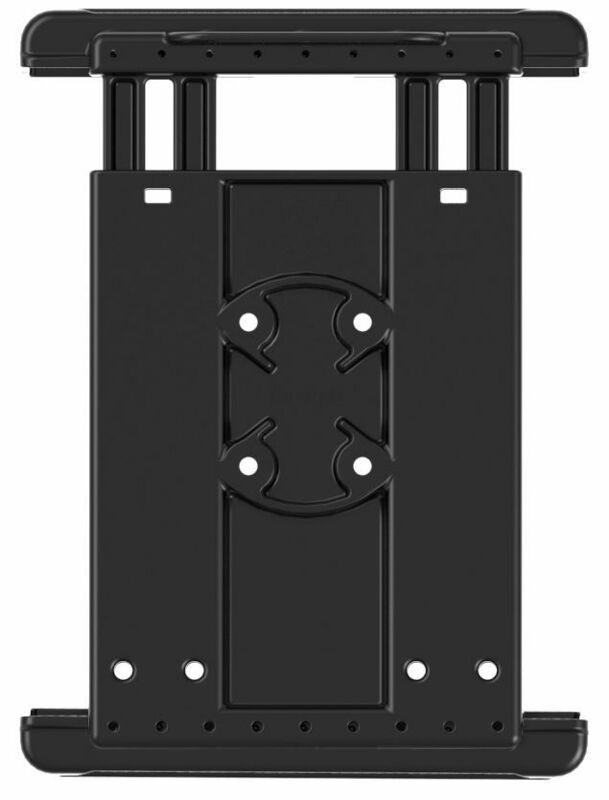 The included RAM's patented design dampens shock and vibration, helping to extend the life of your device.